Pictured: Council handymen busy demolishing Aili Gotlieb shack. 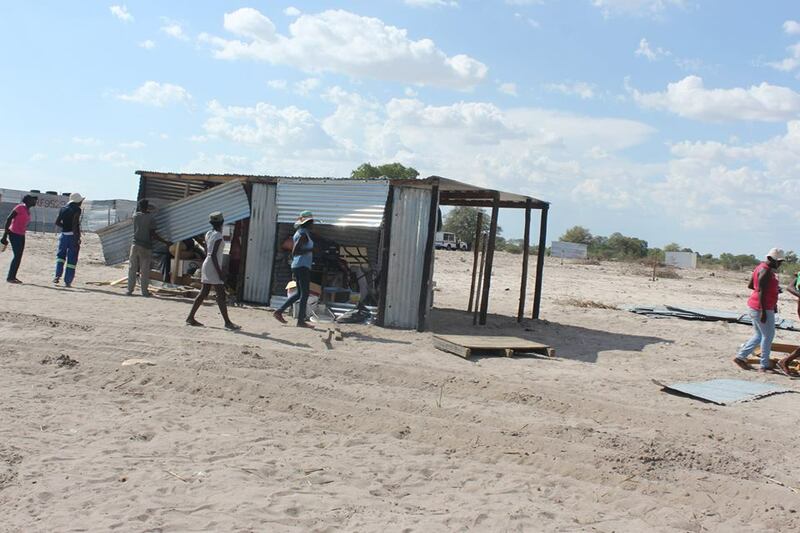 THE Oshakati Town Council has chosen to remain silent after four more shacks were demolished at the new Onawa entrance to town, leaving mores shack dwellers without anywhere safe to go. Disgruntled residents of the area said that council officials started with the demolition of their shacks earlier this week. 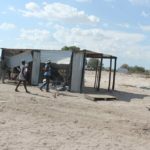 According to the affected shack owners, the Mayor of Oshakati Angelus Iiyambo and his town Chief Executive Officer Werner Iita, visited the area in the morning before the destruction of shacks started, but did not inform anybody the purpose of the visit. The team that was busy with the demolition work was accompanied by members of the Namibian Police, who were called to assist the workers if trouble broke out and to keep shack dwellers from distracting the work. The day before the demolition team was prevented by the residents to do their work. Julia Ndawedapo and Aili Gotlieb are some of the affected shack owners who said the affected shack owners claimed that council previously relocated them from the same area to where their shacks where erected, before it was demolished. They added that they were told, that they moved to fast to their new place of relocation. “I was at work when they demolished my house and left everything to burn in the sun, causing damage to materials I used for the construction of my shack,” said Ndawedapo. Ndawedapo was allocated to a plot with the ERF number 9523, while Gotlieb was given ERF number 9535 which they claimed that the town council gave to them after filling out the necessary forms and other vital documents. After her house was destroyed she is forced to sleep in a tent on the land where her shack used to stand. Her earthly possessions were moved just a few metres from where her shack was erected. “I do not have any where to go or the means to erect a new shack for myself. One wonders why we have to be treated so bad and moved up and down,” Gotlieb said. Meanwhile, Oshakati Town Council spokesperson Katarina Kamari, chose to not comment on the matter, claiming that she still has to gather information, as to what is really happening.